Let’s start with the basics. What is Google Analytics and how does it fulfill its claim of helping marketers “turn customer results into real gains?” Google Analytics is a freemium web analytics service and “the industry standard for tracking, analyzing, and reporting on site data” according to the luminaries over at Lynda. Using Google Analytics can help you measure site traffic, SEO, engagement, ad revenue, and activity on social media. 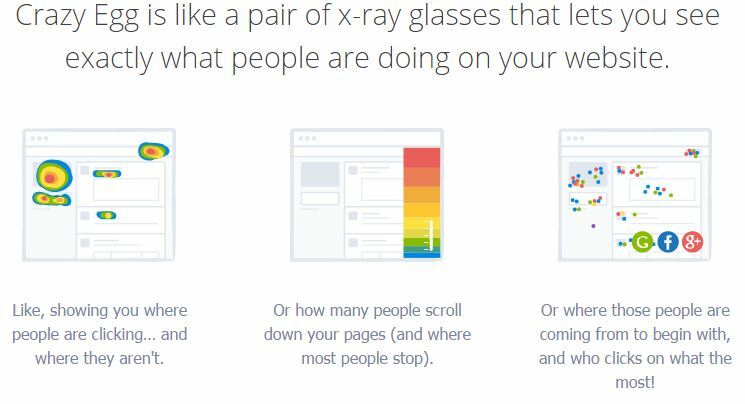 You can also track goals (like driving visitors to a certain page or hitting conversion points), follow the paths of your visitors, or see how people interact with a page in real time. 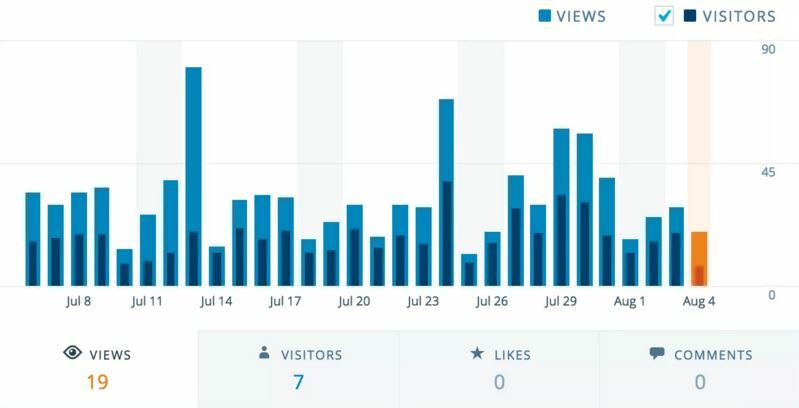 In many ways, Google Analytics is the ultimate traffic-control officer. Virtually every piece of content you post online can be tracked and monitored in its dashboard. The microscopically tight view of each piece of content enables you to view engagement, and assess what’s working and what isn’t. Robust search functionality and the ability to build queries also gives you the ability to dive into your online data. Data Collection and Management: Understand how your customers behave online, consolidate the most useful information, and easily share it with your team. Data Consolidation: Pull data from disparate sources and synthesize it so you have a holistic view of your audience at any given time. Data Analytics & Reporting: Filter customer information to understand what content is popular, and what is lagging behind. Get traffic updates and understand how mobile traffic and social media referrals affect overall content performance. Data Activation: Put the data to work so you can make smarter decisions. Request notifications when traffic shifts, deploy A/B tests, or track engagement as you experiment with new content. 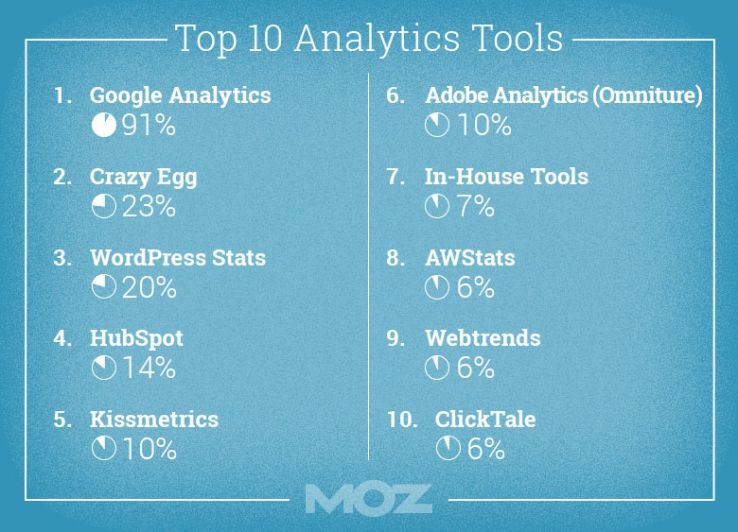 According to Moz’s 2015 Online Marketing Industry Survey 91% of the sample reported using Google Analytics. That’s nearly four times as many people as the the next most popular analytics tools – Crazy Egg (23%) WordPress Stats (20%), HubSpot (14%), and Kissmetrics (10%). 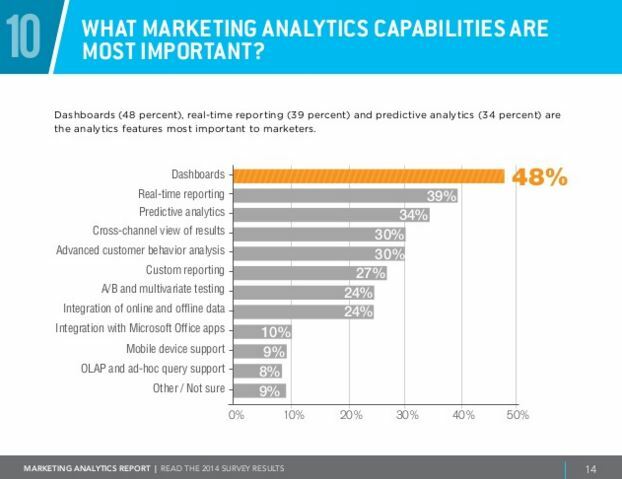 In another survey, researchers asked marketers which analytics capabilities were the most important to them. The top responses included dashboards (48%), real-time reporting (39%), and predictive analytics (34%), which all happen to be components of the Google Analytics tool. Dashboards are a collection of widgets that give you a quick glance at the metrics you care about most. The dashboard reports on the performance of your content and helps you monitor multiple metrics at once so you always know what’s working and what isn’t. The best part is that dashboards are easy to customize and share. Shortcuts remembers your settings so you can quickly access the reports you use most often. This means that you won’t have to reconfigure a report every time you open it, and the most important data is always at your fingertips. Intelligence Events monitor changes in traffic and usage on your website. Intelligence monitors your website’s traffic to detect significant variations and generates an alert when these statistical variations occur. These events are composed of four different reports; Overview, Daily Events, Weekly Events, and Monthly Events. Each report provides you with information on automatic and custom alerts for that time frame. Real-Time Reporting helps you monitor activity on your site or app. These reports are updated continuously and every interaction with your site is recorded just seconds after it occurs. Real-Time reporting helps you view location information, traffic sources, how many people are currently on your site, which pages they’re interacting with, and conversion goal information. Enhanced E-commerce Reports are your one-stop-shop for actionable information on metrics that give you insight into shopping behaviour, checkout behaviour, and product performance. Collect data on the average order value, the total number of transactions affiliated with coupons or discount codes, or cart-to-detail rate. The Content Experiments Interface helps you test which version of your landing page results in the most conversions. 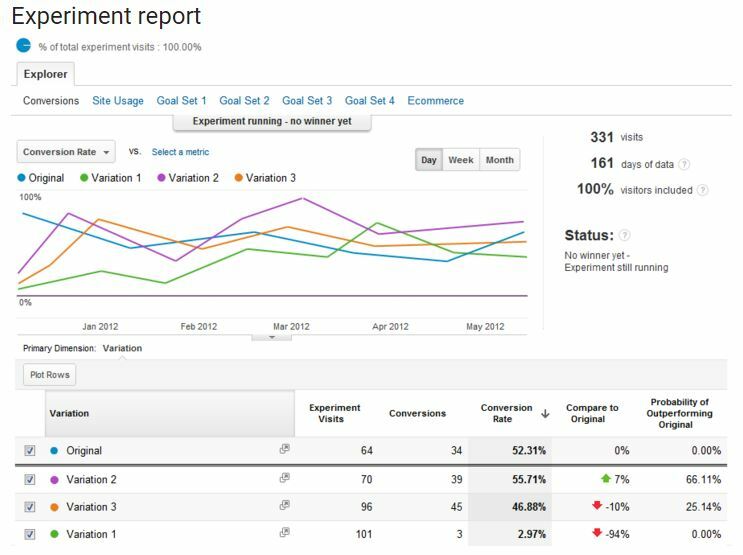 The experiments help you collect data on activities you want your users to complete (like signing up for a newsletter) and metrics that you want to improve (like session duration and bounce rate). The interface has three main components: the experiment-setup wizard, the list of experiments and individual reports for each experiment. Data Import lets you upload data collected from outside sources and combine it with data collected through Analytics. This tool helps you integrate CRM data, ecommerce data, and Analytics data so you can create a unified and comprehensive view of your business. Acquisition Device helps you better understand the relationship between acquisition and conversion. This tool is especially useful because it helps you track users who make their first session on a mobile device, but complete their purchase on a desktop. This tool has the ability to give you a clearer vision of your audience’s journey from awareness to purchase. 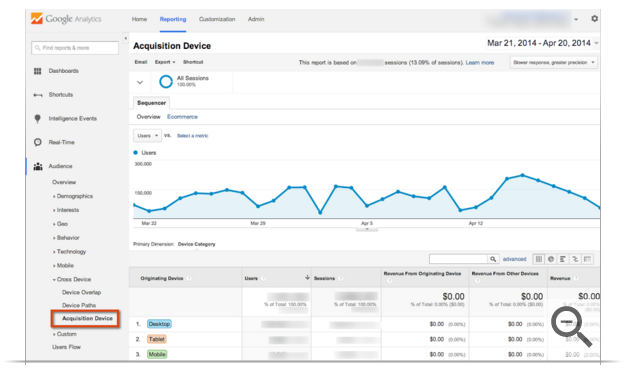 These examples of Google Analytics functionality just scratch the surface of what the tool is capable of. 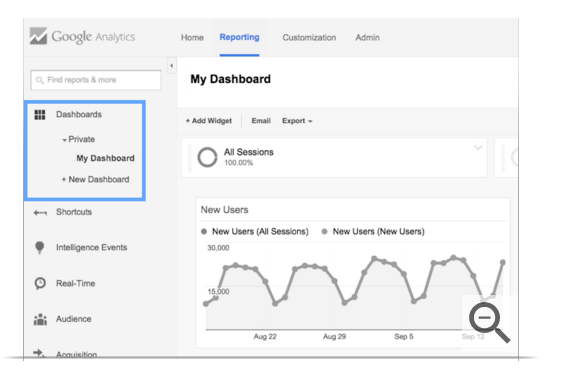 For more information dive into the Google Analytics support page for detailed instructions on what tools are available and how you can optimize them for your needs. Though Google is a great tool, it has a lot of competition. Below we outline some of the key players. Crazy Egg generates heat maps to help you see how your visitors are interacting with your web page. See where visitors scroll and click, and find out where they arrive from and what they click on the most to better optimize your site for conversion. If you’re running a WordPress site, WordPress Stats gives you page insights (like posting activity and the most popular time of day for visitor activity), identifies when people click on external links, and tracks which countries your readers are visiting from. 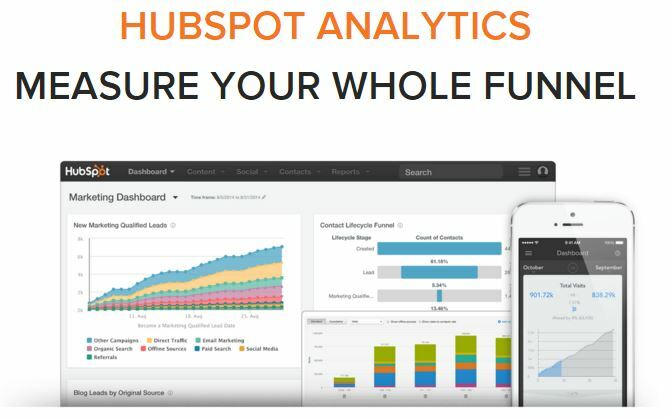 The three distinguishing features of HubSpot Analytics, in its own words, are individualized profiles of contacts built on data, integrated analytics, and revenue reporting. Kissmetrics Analytics is the product of industry experts Neil Patel and Hiten Shah. It’s ability to track individual customers sets it apart from other analytics tools in the field. Though there are a lot of competitive analytics tools (like the ones listed here), a lot of content marketing platforms also have analytic tools that are custom-tailored to measure specific content. For example, ScribbleLive’s Engage includes an analytics component capable of providing useful metrics specifically for liveblogging. The earliest form of Google Analytics dates to 1995 with the formation of Web Depot, a company that produced analytics software called Urchin. A decade later, in 2005, Google purchased the business, which led to the formation of today’s Google Analytics. Here’s a helpful infographic that outlines the story in more detail. Private browsing that prevents web users’ activity from being tracked. Added Geo ID Capabilities, giving web developers the tools to track users by city and region. More robust reporting on active users at intervals of 7, 14, and 30 days. User-defined metrics that are computed from existing metrics giving you more relevant analysis and greater ability to take action on your findings. Additions that permit developers to fuse web data with CRM and internal data set for better decision-making. You can find a complete list of recent release notes on the Google Analytics Help page. Google Analytics might not be for everyone, but it’s become the industry standard for most marketers. However, it’s important to weigh third-party reviews of the platform for the sake of transparency. It will also help you know when you need to look for additional tools and services to get the answers you need. The free version has a ton of bells and whistles for understanding website traffic. The service has a massive suite of tutorials, help pages, videos, and resources for easy navigation and application. Dashboards can be customized to fit individual needs, drilling down into specific data subsets while ignoring fields that have no bearing on a marketer’s day-to-day needs. The data will never be 100% correct, and there are challenges in using it for ecommerce. Large sites run into sampling issues that make getting statistically significant results difficult with more granular research. The platform is owned by Google, meaning its functionality can be altered or updated by the company at any time. It’s extremely difficult to contact a live body, short of a salesperson, when you need to troubleshoot, making a smaller vendor more attractive as day-to-day questions arise. 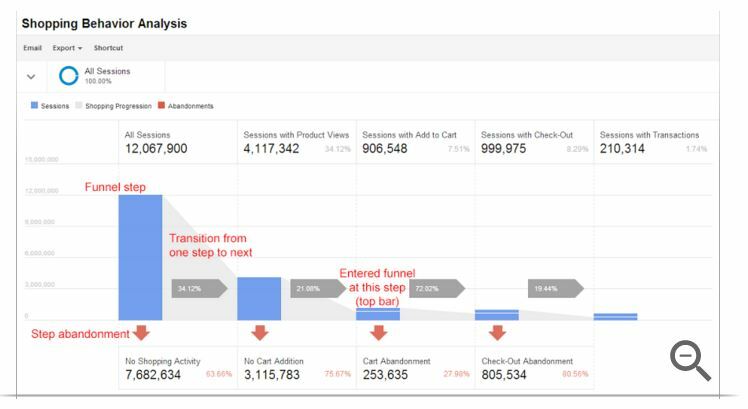 Google Analytics can be a little overwhelming in the beginning, but those who spend a little bit of time learning the ropes will be rewarded with troves of data and reporting capabilities that will help you be a better marketer. When you combine Google Analytics with other Analytics tools, like ScribbleLive Insights, you can create an unstoppable marketing resource.